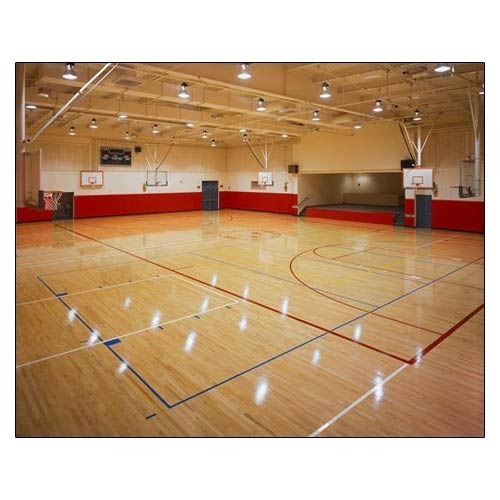 Abiding by quality assured policies, we are engaged in providing a wide range of Basket Ball Sports Surface. It is designed using premium grade raw material and latest technology following the industrial quality standards. Owing to its supreme quality and durability, this surface is highly demanded from us across the nation. Clients can avail this exclusive surface from us at market leading price. Blue Sports started its business operations as a Sole Proprietorship business firm in the year 2013 at Hyderabad Telangana, India. Since inception, we have emerged as one of the prominent traders, suppliers and wholesalers of Wooden Flooring, Rubber Flooring, Vinyl Floors, Synthetic Floors, PU Floors, Wool Carpet, Artificial Grass and Artificial Turf and many more. Our products are highly accredited in the market for their superior performance, long life, reliability, durability, high efficiency, light weight nature and more. Apart from our exclusive product range, we are also into rendering Sports Ground Construction Service and Vertical Gardening Service.